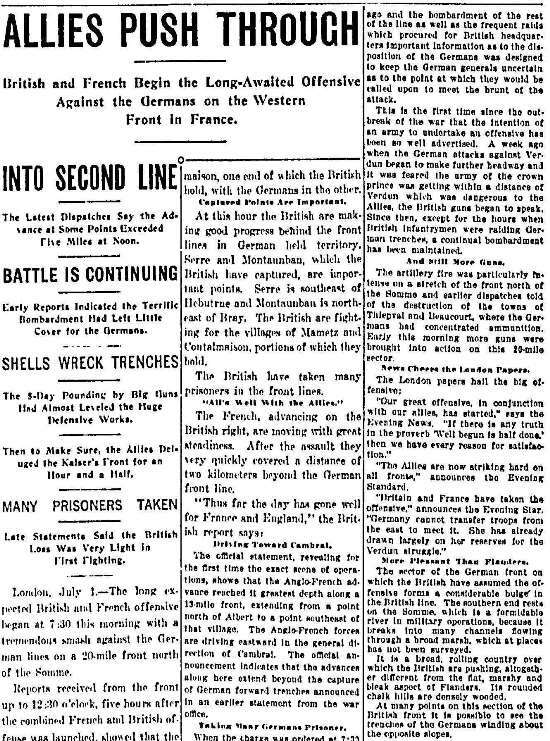 July 1, 2016, marks the 100th anniversary of the day the British army suffered the worst losses in its history, the first day of the Battle of the Somme. 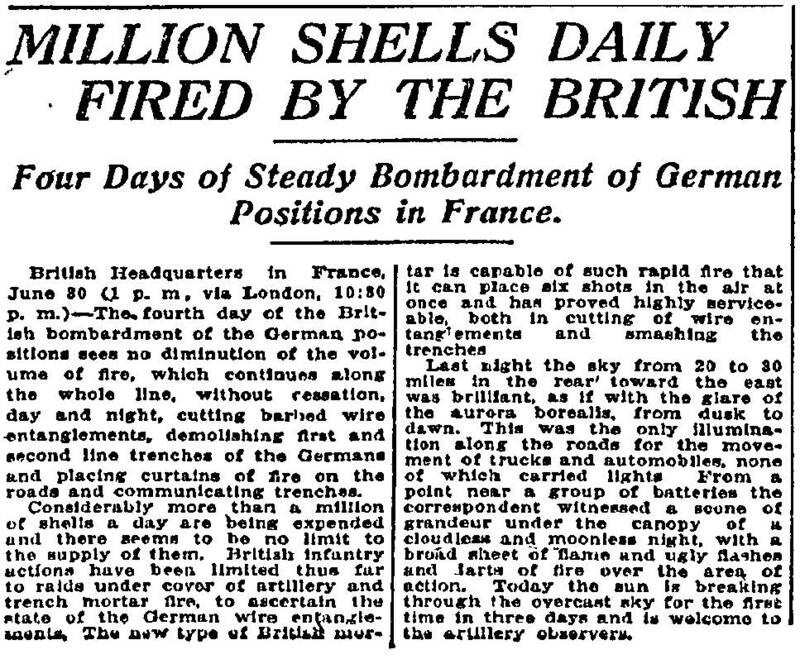 American newspapers and news services had correspondents in Britain, France and Germany, who were the main opponents on the Western Front, covering the events of the war. This was possible because the United States had not yet entered the war. 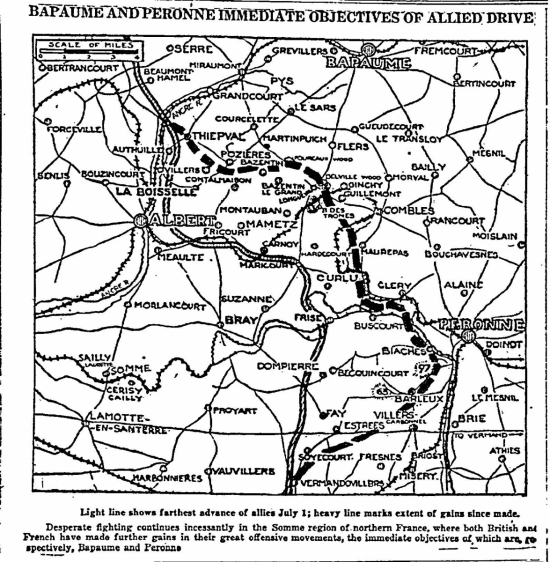 Readex’s Early American Newspapers contains the accounts those correspondents filed about this battle as well as the rest of World War I.
July 1, 1916: After five days of an artillery barrage intended to destroy the barbed wire and thin out the German defenders, officers blew their whistles at 7:30 a.m. and the British troops went over the top. The plan by the commanding generals was that this attack would cut through the German lines and turn a static war back into a war of movement. Originally expected to be led by French forces, the lengthy battle of Verdun shifted the main attack to the British sector. Planned in late 1915, the attack was planned to coincide with the Brusilov Offensive on the Eastern Front in present-day western Ukraine. Instead it was a bloodbath. The barbed wire in no-man's land wasn't fully cut and the Germans had been well sheltered from the barrage. The British were slow marching into machine-gun fire. Nearly 20,000 British officers and enlisted men would die on the first day of the Somme. Almost 40,000 more were wounded. It was the worst day for casualties in British military history. Due to the way the British had built their volunteer army, this was an even more devastating day than the numbers might indicate. When the British public rushed to enlist after the beginning of the war, volunteers were told that those who enlisted together would serve together. As a result, the new army units consisted of people from the same neighborhoods, backgrounds, schools, organizations or professions. Called Pals Battalions, they trained through the rest of 1914 and part of 1915; they were ready for the great battle planned for the summer of 1916. As the death lists were published, communities in the United Kingdom and its empire were plunged into deep mourning. The Newfoundland Regiment of Canada suffered nearly a 90% casualty rate. The battle didn't end after the first bloody day. It had been planned the preceding December to be one of a series of Allied attacks on both the Western and Eastern Fronts. It was also needed to relieve pressure on the French at Verdun, the theory being that the attack on the Somme would cause German troops to be shifted from Verdun. No longer looking to break through the German lines, attacks and counterattacks continued. 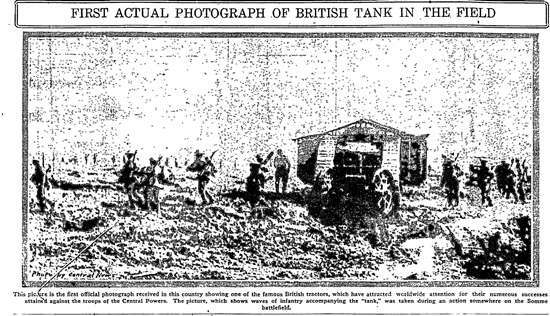 In mid-September, tanks were introduced to the battlefield for the first time. They did not change the outcome of the battle on that day. Fighting continued until mid-November. Britain and France claimed victory. Maps of the front show that territorial gains had been made. They were small. The British and French did push the German lines back, but at what cost? The Imperial War Museum estimates the British suffered 419,652 casualties, the French 204,253, and the Germans between 437,000 and 680,000. 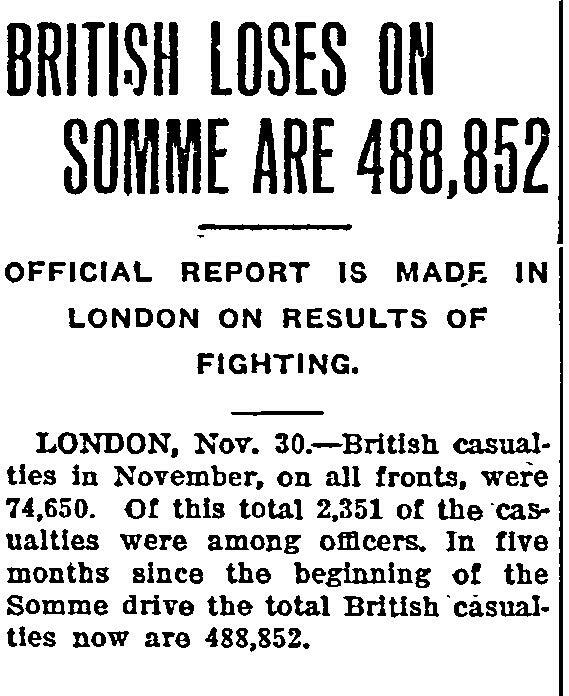 Even using the lower estimate of German losses, over a million men from all three countries were either wounded or killed outright. The battle cost the combined countries an average of 7,500 men a day for each of its 140 days. Views of the battle changed over time. Originally it was seen as a success. The publication of war memoirs of soldiers and politicians led to a shift in how the battle was seen: brave soldiers, bad commanders, great loss for little effect. Starting in the late 1950s, historians began to argue that the lessons learned from the Somme and subsequent battles were responsible for the defeat of the Germans in 1918. In most people's imagination the Somme is the overriding emblem of the Western Front and indeed of the war in its entirety. However, it can hardly be considered surprising that the most costly battle in Britain's most costly war should feature so strongly in our shared memory. As an interesting side-note, the preparations for and the opening action of the Battle of the Somme were filmed, and a one-hour long silent film that also contained some staged shots was released in Britain in August of 1916, even as the battle raged. Some later battles were also filmed. It is estimated that over 20 million people saw the film. They were looking to see family or friends who were in the army. Today, some footage can be viewed online at the Imperial War Museums’ website.